Clear spans from 24’ to 80’ in widths with lengths in multiples of 10’, 12’ and 14’. Anchor bolts to concrete above ground level... nothing in the ground to rot, twist, or sink the building. The Ultimate in Design Efficiency and Flexibilty Tailored inside and out to your specifications. 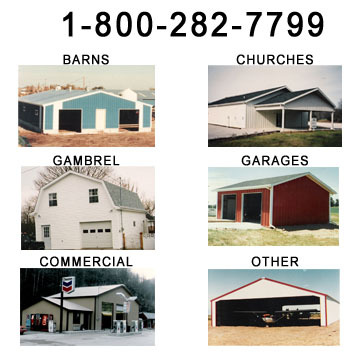 DANDI roll forms metal and sells metal, trim, & insulation wholesale!